Let me thank Janice of Home Cook Baker for giving Elinluv's Sweet Delights this lovely award...not that I deserved it but somehow I am glad I am one of the recipients :p. This is my third one, the second one still waiting for me to pick up. I can't remember which blogger gave me so I have to go dig up :p Sorry, I was busy at that time and I told her I will go pick it up later ...I will...just hang on. So, before I forget again , I better put this up first :) Thanks Janice for such lovely thoughts and I will continue to share more recipes from my kitchen. I will skip the rest of the rules for I think all bloggers deserved this award for they too have put in a lot of efforts in sharing their recipes with all of us. 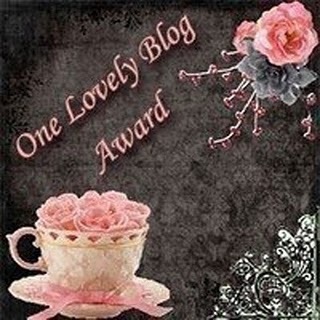 So all my bloggers friends please feel free to pick this award from me :) You all deserve this lovely award ! 1. I am happy creating new dishes for my family no matter how much hardwork is involved. inspiration comes before I doze off to dreamland. before I sleep and early morning before I get up from bed. 6. I love watching korean dramas and am hooked to HK dramas too. 7. I am crazy over bread making and Wild Boar is being fed homemade bread everyday LOL! and paste it on your blog ...for all you deserve this lovely award. an encouragement to me ! so tonite after making your bread, go enjoy your dramas and after reading your recipe book before you go to dreamland, better think who's the person who passed you the award !ha! !